Woah there! 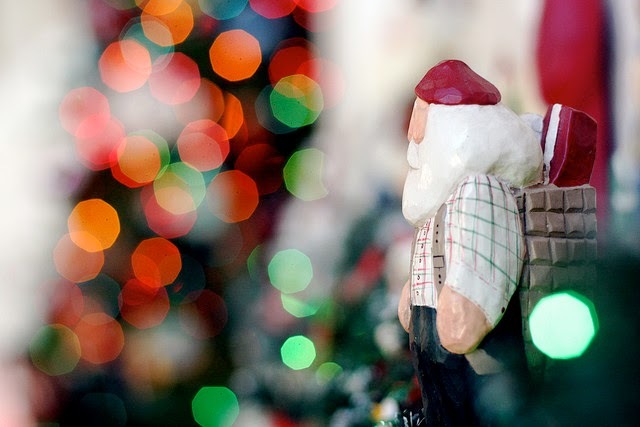 It's the 1st of December! How did that happen? You have only 3 solid weeks to get all your Christmas shopping in - eek - and if you're struggling to find the perfect present for a loved one (or perhaps you're looking for inspiration for your own Crimbo wish list) then we're here to help! Does your recipient have a little glint in their eye when you mention the word cocktail? Does a gleeful grin take over their face as the bartender shakes up their favourite drink? Are they eager beavers in the mixology department at home too? Then look no further; we've scoured the internet and found some of the snazziest gifts for cocktail lovers, one and all. WE LOVE COCKTAILS! Roll up! Roll up! Firstly we have the Roll up Bartender Set from Anahi Collection on Not On The High Street for £59.00, because every keen drinks enthusiast needs some good tools. This set is easy to pack away and super handy for taking to friends houses too; not everyone is well equipped! 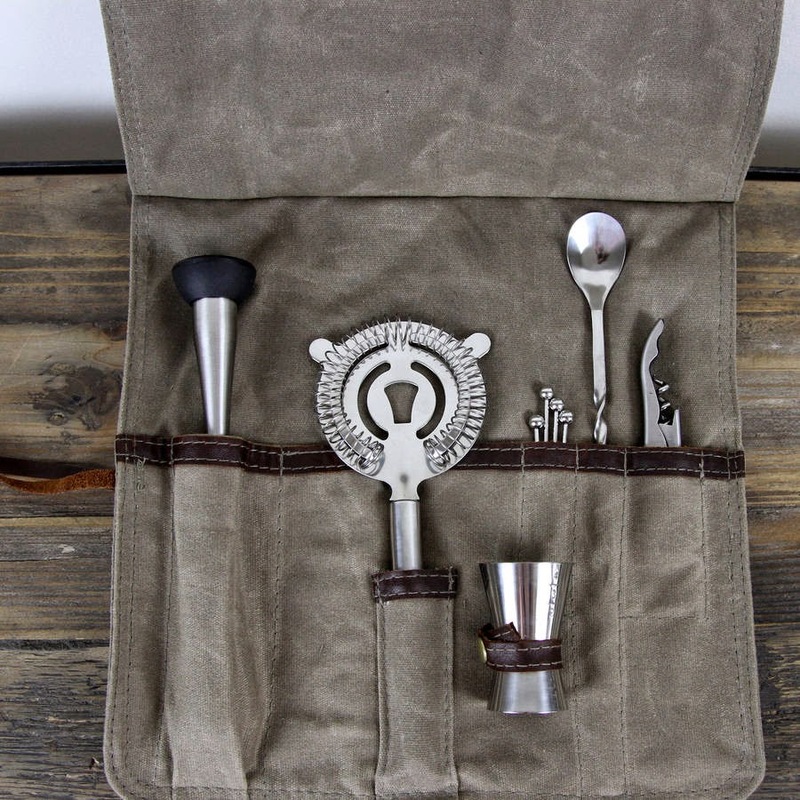 Inside the waxed canvas roll-up (with real leather trim) comes with six essential cocktail making accesories: a measurer, a bottle opener/cork pull, a mixing spoon, a set of 4 mixing sticks, a muddler and a strainer. Sorted. Next, we have the J by Jasper Conran Designer Stainless Steel Cocktail Shaker from Debenhams, priced at £18.00 (though currently on sale at £14.40). This is more of a classic as opposed to a fancy schmancy shaker; I love the tin can vibe it has going on, and it's one you definitely won't get bored of. Other than tasty spirits, you might want to put some other interesting additions into your shaker. 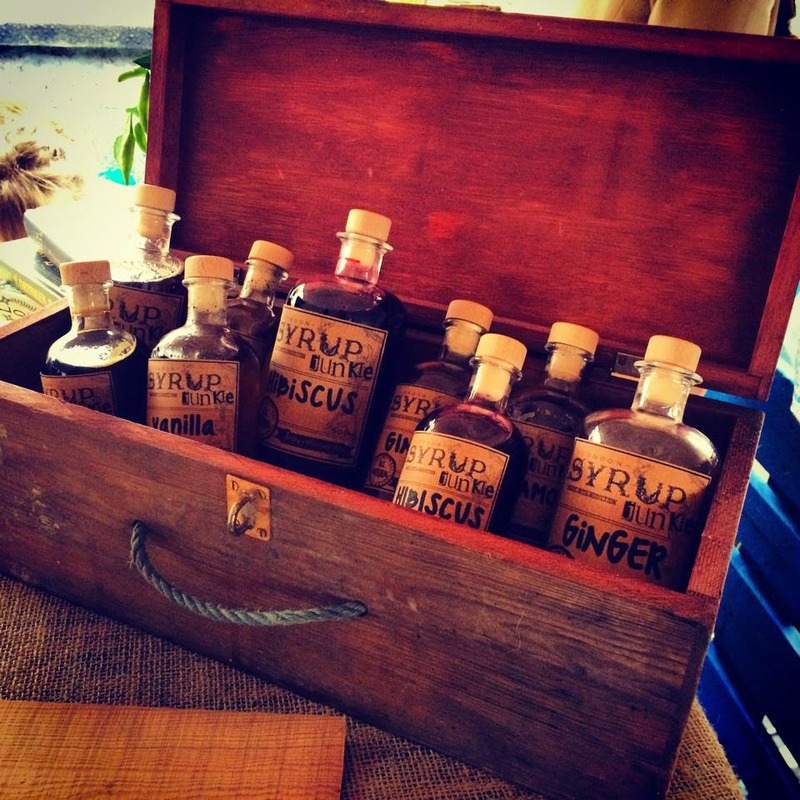 Syrup Junkie Syrups from World of Zing offer an excellent selection in apothecary style corked bottles. Each priced at £5.45, there are some great flavours available; Smoky Lapsang or Cardamom please! Cool glassware is an absolute must, and there's only so much you can do with a martini glass. 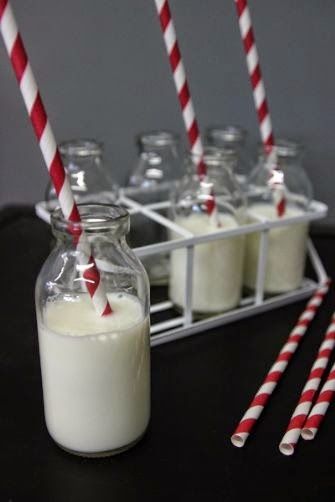 This set of 6 School Milk Bottles in a Crate from Rockett St George is not only little and cute in size, but in price too; just £9.99! My vote is to fill them with Eggnog or White Russians this Christmas, yes? Perhaps something a little different on the booze front would be unexpected and welcomed. Mr Lyan's Handcrafted Cocktails from Master of Malt might just be the thing. Created by Mr Lyan himself, the one and only Ryan Chetiyawardana, this extraordinary range of cocktails offers the kind of drinks you may expect at top establishments (such as White Lyan - Best New International Cocktail Bar 2014) in the comfort of your own home! 50cl bottles are under the £30.00 mark, and you simply chill, serve and enjoy! That Bonfire Old Fashioned has my name on it by the way. It's only £26.95. Just saying. 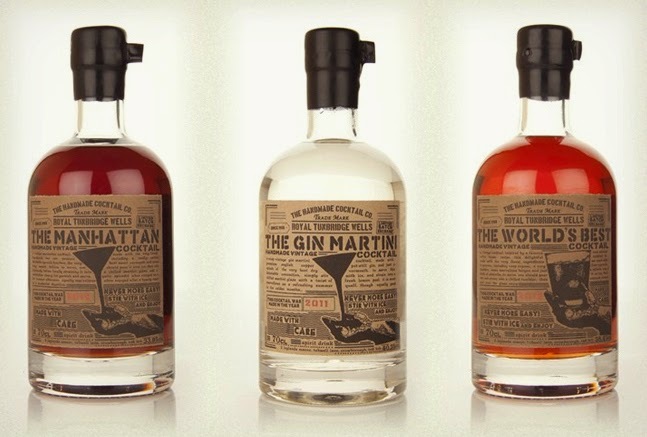 Also from Master of Malt, we have the Handmade Cocktail Company pre-bottled cocktails varying in price from £13.95 - £59.95. Vintage mixes sound like a dream, and I've personally got my eyes on the bottle of Left Bank Cocktail 2012 (70cl 44.2%), containing some super secret ingredients, for £49.95. Or alternatively, to aid my addiction, the classic Negroni Cocktail 2014 (70cl 28.3%) for £34.95. 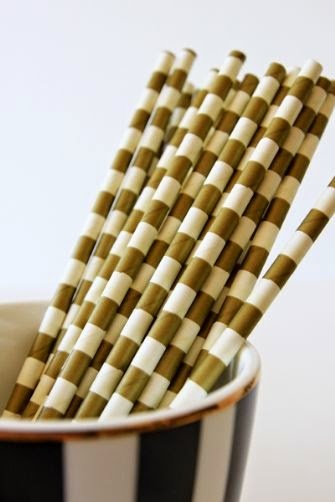 How about some snazzy straws? These Gold & White Striped Paper Straws from Rockett St George are just £2.95 for a pack of 25, and would make the best finishing touch to your festive drinks! 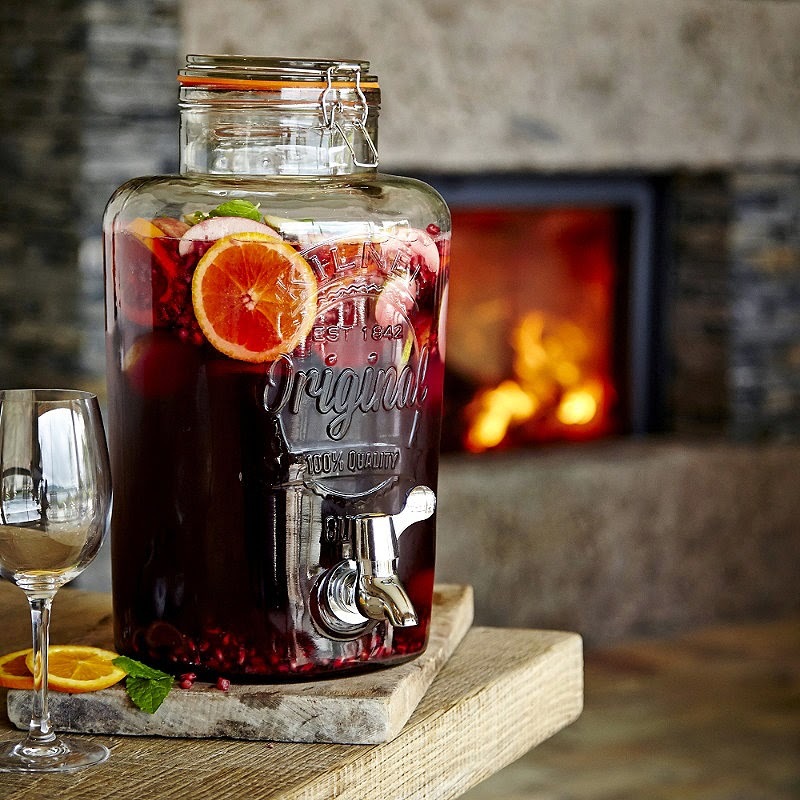 If Christmas or NYE parties are on the cards, then this Kilner Drinks Dispenser, which holds 8 litres, is the ideal gift! We flippin' love Kilner jars! It's £29.99 from Lakeland, and perhaps you could attach a few punch recipes for good measure (see our previous post for party drink ideas). If you're looking for more of a stocking-filler, you will be forever loved if you buy someone a bottle of boozy shower gel, and that's a fact. Ish. 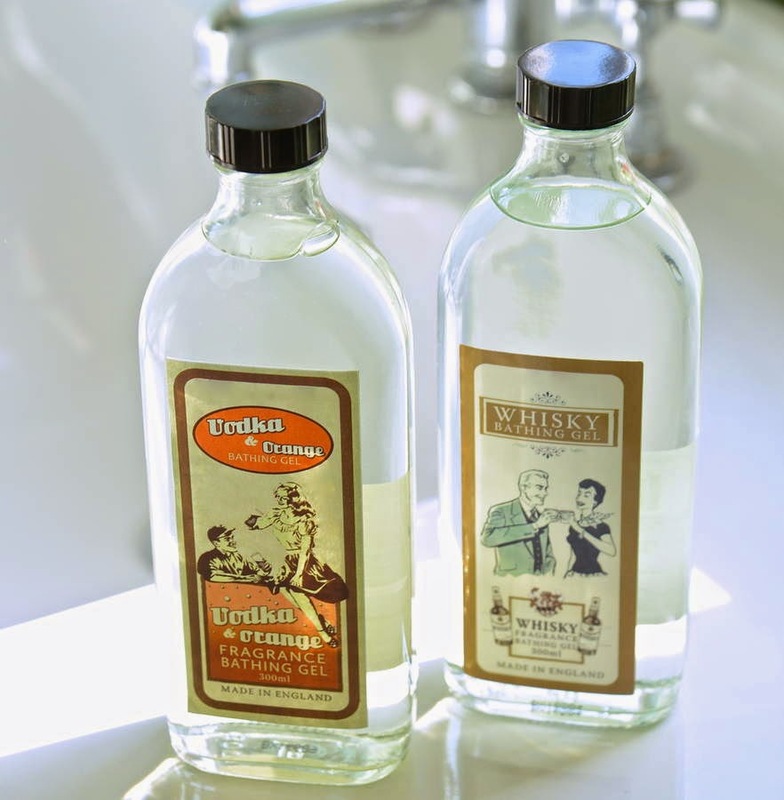 The Letteroom makes all kinds of boozy toiletries (we wrote about their gin and tonic shower gel last year in our Epic Gin Gift Guide) and there's something for all cocktail tastes, including vodka and orange, ginger beer and even whisky. They're £4.95 from Not on the High Street - bargain. A bloody good book is often the answer for a thoughtful gift. 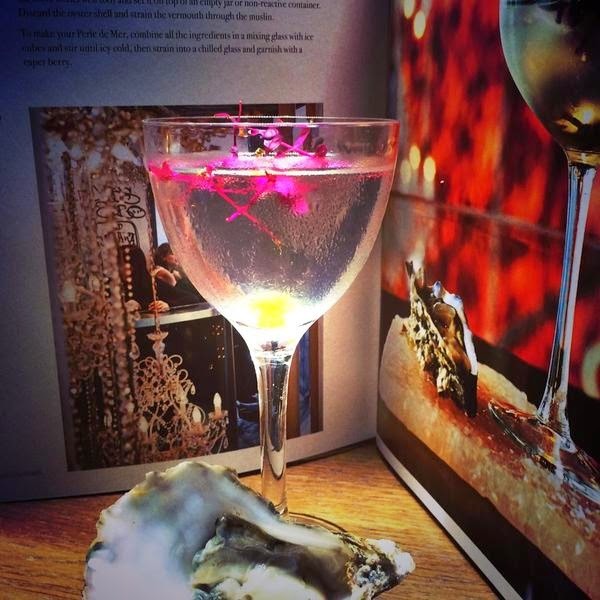 The Curious Bartender - The artistry and alchemy of creating the perfect cocktail is just that. Learn the science of flavour, all the technical hocus pocus, then play with smoke, foams, air, etc, and follow the recipes (it's much more advanced than something like The Savoy Cocktail Book). 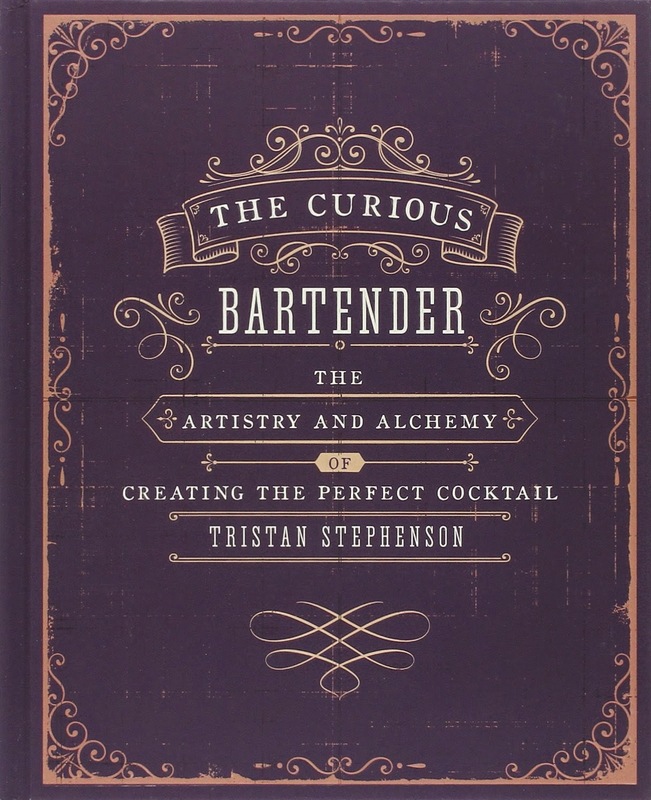 The Curious Bartender is available from Amazon for £11.89. 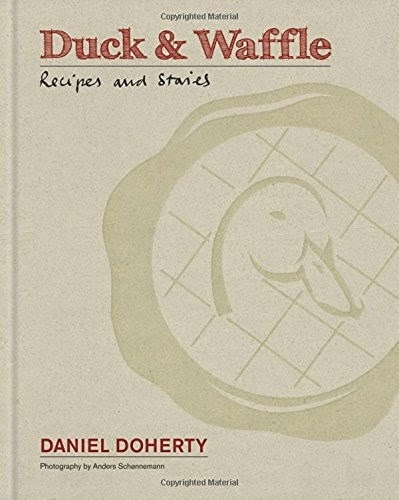 For any fellow foodies, then this new book, Duck & Waffle: Recipes & Stories by Daniel Doherty, is THE one. If you've never been to Duck & Waffle in London, it's a 24hr restaurant situated on the 40th floor of the Heron Tower, right next to The Gherkin. Offering breakfast, brunch, lunch, dinner and late night menus in small-sharing-dish format, it also serves up the most inventive cocktails around courtesy of Richard Woods (think Celery & Wasabi Bellinis and Truffled Whisky Sours). The book includes both of those cocktails and more, and the food - woah - Toasted brioche PBJ with banana and berries, mutton Sloppy Joe, and the signature Duck & Waffle with mustard maple syrup. HELL YES. Available from all good bookstores or from Amazon for £17.00, I desperately need this in my life. 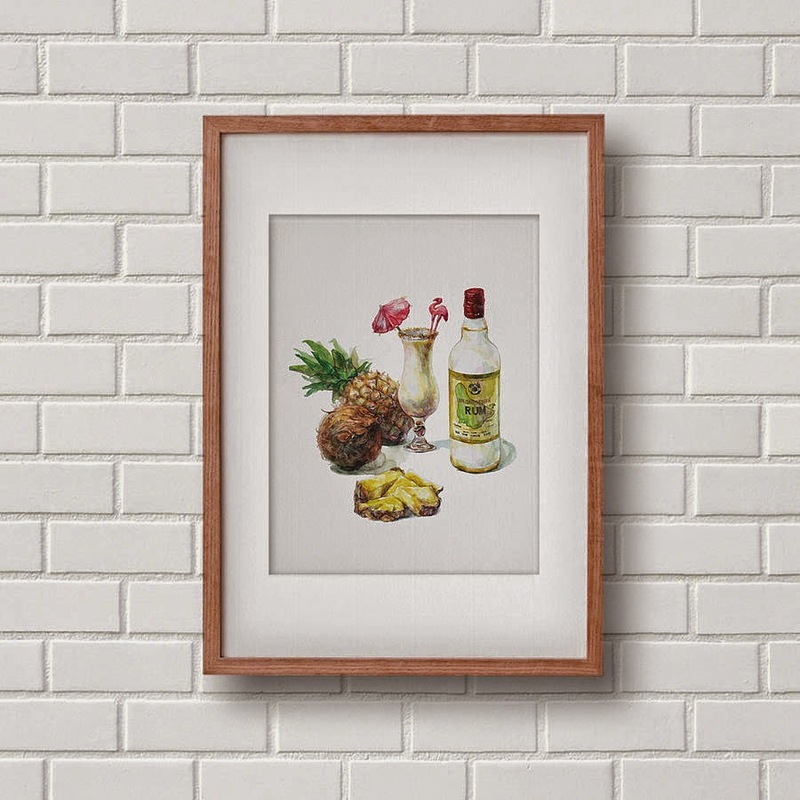 If a decorative print is what you had in mind, then the Cocktail Art Prints by Anzu are worth checking out. Choose from Pina Colada, Margarita, French 75, Mojito or a Whisky Sour, and each one it £55.00 from Not on The High Street. I could add SO many other cocktail inspired gifts to this list, but there just isn't enough time! If for some unknown reason none of these tickle your fancy, then check out our other gift guides, and look out for more in the next coming weeks.